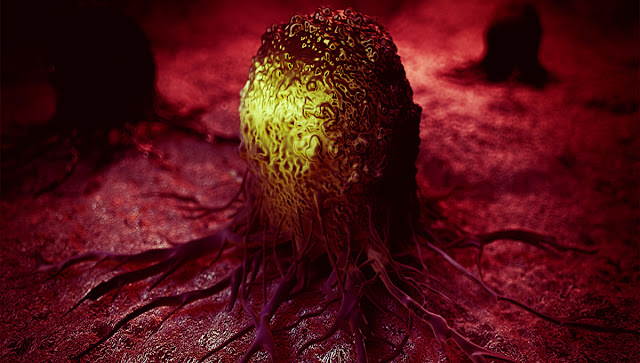 A new vaccine against cancer involving an immunotherapeutic drug and a chemically effective drug was 100% successful in melanoma treatment tests in mice. In the study, specialists have shown that new therapy can fight recurrent episodes of cancer, writes Science Alert. "This therapy provides a complete, curative response to melanoma treatment," said Dale Boger of California's Scripps Research Institute. "Like a vaccine that forces the body to fight against external pathogens and this therapy trains the immune system to attack the tumor," he added. Researchers analysed 10,000 compounds to find one that can increase the effectiveness of chemotherapeutic drugs used to kill cancer. Eventually they discovered that the chemical Diprovocim that creates connections with an immune receptor. The next step was to test the compound along with the usual therapies for treating tumours in mice. The researchers used a group of mice with an aggressive melanoma form, genetically modified to contain ovalbumin, which researchers use when analyzing the immune response to cancer. All mice received the anti-PD-L1 drug that aims to prevent the spread of tumor cells. Subjects were then divided into three groups of eight mice. One group received only anti-PD-L1 and an ovalbumin injection. The second group received both treatments, plus the chemical Diprovocim, to stimulate immune system actions. The third group received anti-PD-L1 with ovalbumin and a compound called alum, instead of the chemical. Each animal received a dose of this treatment every seven days. The team found that on day 54 the first group had a survival rate of 0%, the group receiving the 25% alum compound and the Diprovocim group received a 100% survival rate. The team explained that the vaccine works by stimulating the immune system that creates a special type of cancer cells, called leukocytes, that infiltrate the tumor. Effects could also be observed after the cancer disappeared.